Oh my gosh. The book I chose to review was Surviving Your Serengeti by Stefan Swanepoel . It states on the front cover 7 Skills to Master Business and Life. It talks about the 2 million animals that go a thousand miles across the Serengeti. The journey is full of many dangers for these beautiful animals. The book explains that there are different animals and each have their strengths and weaknesses but they all bring their own to the table. It asks questions which cause you to think about yourself. "Are you an enduring wildebeast who understands that any goal worth achieving requires pressing on despite the hardships?" "Do you take brave gambles like the risk taking mongoose ?" There are other magnificant animals on this trek and all are compared to trails that we all have or hope to have. It is a journey of discovery , just as we do everyday. It speaks about troubles and problems we face in all of our lives. The author Stephan Swanepol made me think about my own struggles and skills. He believes as I do that you cannot sit back and be afraid to take a risk because you might fail . Rely on youself and think about the good and the bad facts to bolster your personal decision. You might fail but you must keep a positive attitude. We are faced everyday with challenges and problems. I believe that it is not only the outcome of our decision but it is also the journey that gets us there. We must believe as a people that there must be a risk taken to be able to have a successfuk outcome. Just think of all of the discoveries that would have not be made if we were not all different but working together. I found this book to be full of compassion , friendship and a new sense of what can be accomplished in life. I really loved the way each animal had it's own traits. It is a wonderful book and really made me ask myself questions. Disclosure I received this book free from the publisher through the Booksneeze@.com book review bloggers program. I was not required to write a positive review. The opinions I expressed are my own. I am disclosing this in accordance with The Federal Trade Commission 16 CFR , 255 : "Guides Concerning the Use of Endorsements and Testimonials in Advertising ." BACK TO COUPONING AND GREAT DEALS ! Today , I (Nana ), made a decision , I used to always use all of the coupons I could find, in the paper and those I could download. The other day PIER 1 offered a coupon for $10.00 off any purchase $10.00 or more. I walked up and down those aisles and could not decide what I wanted. I finally settled on a really cute set of 4 ceramic bowls. They were beautiful cream colors. They would be just right for soup, a small salad or ice cream on a hot summer day. They were $12.99 so I got them for $2.99 plus tax. I was so excited and I really loved them. I am hooked again. Why did I ever let some go ? PS : I just got my mail with a $10.00 off anything in the J.C. PENNEY STORE no exclusions ! Yippee ! I guess I'm going there tomorrow . Too bad I still didn't work there ! THE BIG BIRTHDAY CELEBRATION ! Yesterday was Bobo's and Sissy's together birthday celebration. I must say that birthdays at our house look too much like Christmas . It sometimes can be overwhelming and they are tired by the end of unwrapping all their gifts. 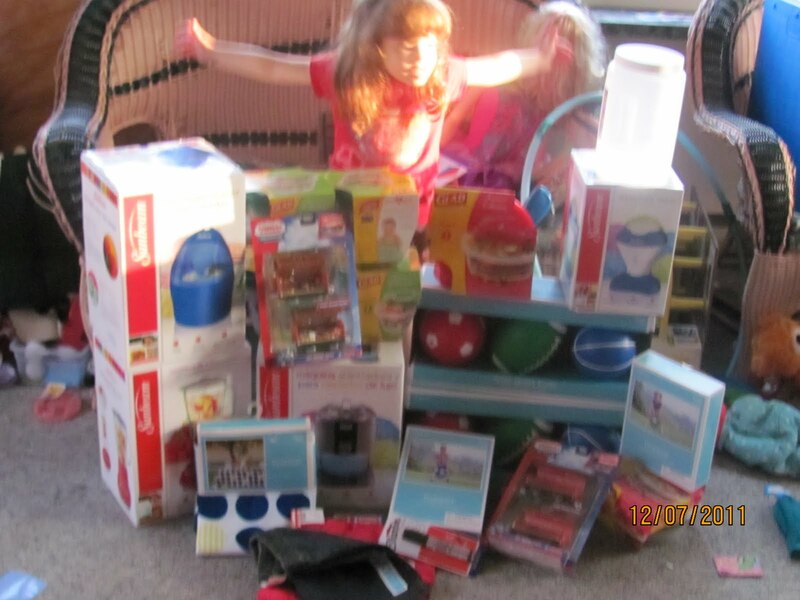 One of the gifts they received was a LITTLE TIKES BOUNCING HOUSE as they called it. Blows up a minute and gives hours of fun. They also got books which we had to read right away, and puzzles of course. Helmets for when they ride their bikes, THOMAS THE TRAINS AND BARBIE DOLLS. There were of course sentimental gifts too. There were also clothes. It was a little hot but we cooked on the grill fast and used our hot dog roller appliance for the hot dogs. The cake had been ordered from BIG Y and it was a half a sheet. Bobo picked out a edible picture of THOMAS THE TRAIN for his half with blue decorations on the white frosting. Sissy picked out a PRINCESS edible picture with pink frosting on white for her half. Because their birthday's are soo close this was a very frugal way buy a cake. Last week on Bobo's real Birthday we had sandwiches and ice cream cake, tomorrow we will have pizza and ice cream cake on her real birthday. It was so hot today when you walked outside it was like a wall of heat was pushing against you. No breeze just hot air. Mommy decided to go to SAM'S CLUB and bought 3 rotisserie chickens. We just added a vegetable and rolls and voila no cooking . For $4.99 each you can't go wrong. Whatever was left we are going to make chicken salad tomorrow. Tomorrow we will be getting ready for Bobo's and Sissy's birthday party Saturday. We are keeping it simple. The heat doesn't seem to bother kids like it does us older people. It really saves money and time if you decide what you are going to cook for the next few days or a week. 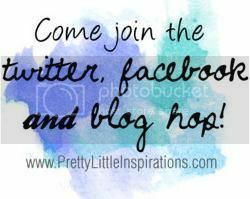 I have been trying this for awhile now and it is saving me time and money ! Yesterday was Bobo's birthday. He was 5 years old. We had a small party but it really looks like the one we will have on Saturday . After we realized that it was too hot to even cook out or bake a cake Mommy and me decided to have make your own sandwiches with chips etc. Then we decided to surprise everyone with a CARVEL ICE CREAM CAKE for dessert.It was wonderful and a big hit. I cannot wait until Saturday when we celebrate Bobo's and Sissy's Birthday party. It is supposed to be record hot temperatures here for the next few days.I do not like oppressive heat. I guess we will have to stay inside where it's cool. I, Nana, looked at my grandchildren this weekend and thought a lot about Poppie. It has not been that long since we lost him and I really hope that my grandchildren remember some of the things he taught them . He loved all kinds of parties, especially when he had an excuse to get the kids a present. Thank goodness our children are lucky enough to have a chance to tape their loved ones with their voices. We only had movies without sound. OMG TARGET WE LOVE YOU !!!! This is what Sissy helped buy today !! We are teaching her well ! What a day we had at Target! We did not know that there was such a huge sale. Almost everything was 75 % off. The ice cream maker, snow cone maker, & blender were $4.99 each from $20.00. The glad summer collection storage containers were $. 74 each. We even had coupons that were expiring today $1.00 off 2. So we paid $.48 for 2 ! The sets of 3 balls were $1.99 each, put away for birthdays. Tablecloths were also marked down . The hopper balls were $1.25 each. The canister was $.50. Then we went and got 2 pairs of denim shorts . We bought them for $3.18 and used the Target coupon for $2.00 off one . Paid $1.18 for each pair. Now we have to find a way to store these . BIRTHDAYS ARE ALMOST HERE AGAIN ! I cannot believe that in a few short weeks it will be Bobo's and Sissy's Birthdays. They were born a year and a week apart ! They act like twins, always watching out for each other , and always wondering where the other is and when the other will be home. Last year Bobo wanted a Thomas the Train cake and we did our best to make one. Sissy wanted a Cinderella cake . We made that one , too !You can see pictures of both of these cakes (which I think came out pretty good for a first try) on Mommy's sister's blog http://www.dealsharingaunt.blogspot.com/ . It is a lot more frugal to make your own cake for someone's Birthday instead of buying one . Once you buy the special cake pan the only cost when you use it again is for the cake and frosting mixes. When Mommy was little, Nana (thats me ) , went to the Wilton Cake Decorating Store , which happened to be in our town at the time , and bought the carriage and horses for her cake . I never attempted a castle cake . I was happy to put the coach and horses on the cake. Not sure what they want this year, we are still thinking about it . There is nothing more fun and memory making when my grandchildren decorate their cake the way they want it . We make a mess but oh what fun we have making it ! The other day we decided to go to Friendly's before our coupon wasn't valid. The coupon was for $1.99 for a kid's meal including drink and dessert. This is a great coupon , the kids love it. We also had a great lunch. All I can say is they wore most of their ice cream, as did Nana (me ) when they decided to rub their faces on my shirt ! Yesterday Mommy, Daddy , Bobo and Sissy went to Michaels Craft Store. They were excited and surprised to see that a lot of their toys , especially the wooden ones were marked down quite a lot. When they figured it out they were just marked down about 75 %. There were puzzles for different ages , abacuses , rings put on a pole. They also got a chance to stop at ToysRus to check out the new Thomas trains for Bobo , who loves Thomas like every other boy his age ! The weather was beautiful and they had a great day ! Today we went into the garden in the back yard and we picked 2 summer squash , 2 zucchini squash and 2 cucumbers ! Bobo and Sissy were so excited. One of Mommy's sisters called Auntie Lala (because she always sang the Elmo Song ) loves to cook in the microwave. She peeled the squash , cut it up and put into one of those zip and steam bags . They were delicious and kept all of the nutrients in the bag instead of losing them if you boil the squash like Nana used to do. They cook in shorter time and there is no pan to cook. We are certainly going to use these all summer. Can't wait to pick more vegetables. For the past few days we have seen a rabbit with a white bushy tail running around the garden . This is wonderful for the kids and we look forward to learning something new everyday. SHOPPING AT ALDI YESTERDAY ! Last year we had an Aldi grocery store come into our town. Since then I go there at least once a week. Where else can you get fresh loaves of bread for 79 cents ? I also get their ranch salad dressing which our whole family love for $1.29. They have Imperial margarine for 69 cents. I went there a few days after Easter and they marked down their cake mixes that had sprinkles in them for 49 cents. the green, yellow and pink frosting were 75 cents. They were really good , just because they looked like Easter colors. It is a good idea to shop any grocery store a few days after a holiday, you just might get a great bargain. EASIEST CHICKEN CROCK POT RECIPE ! This is a recipe even a bad cook can't mess up. We just finished eating and it was delicious. Take a package of either chicken drumsticks or thighs. Rinse the chicken off under cold water. place in crock pot . Cut up about a quarter cup of onions chopped in big pieces. Then pour in about 3/4 cup of you favorite barbecue sauce. stir a little to cover all pieces. Cut up rosemary and put on top. Cook on low for about 6 hours , on high for about 4 hours, or until the meat falls away from the bone. No work, no heating up the kitchen. especially since our temperature today was over 90 degrees. Oh yes I do love my crock pot ! WHAT WE WILL BE EATING THIS WEEK ! As usual when there is a holiday on Monday , I find it a little harder to get back into day to day living especially in the summer. Monday was a beautiful day and we were able to escape the rain unlike Sunday where our tag sale was rained out. The kids swam in their pool and we stuffed our faces. Friday spend the day with Sissy and Bobo. I will keep trying to get through this week. We also are still planning on going to pick cherries and whatever else is in season. Well as anyone can see Bobo was not happy about having to sit. He wanted to run around as usual, a typical boy . It isn't easy to have a tag sale with children so we tried to improvise. We had to keep them busy and also be able watch them at the tag sale. 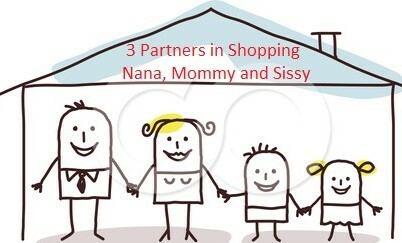 Then Nana remembered that when Bobo was born and Poppie had gone to Walmart and bought him a table umbrella set for kids. Poppie wanted to get one for boys so he got the cars set. Now, Poppie is gone , he had a cardiac arrest last year but how did he know that it was going to be popular right bow ? It is soo cute ! We were sitting in the garage and we decided to have a picnic. 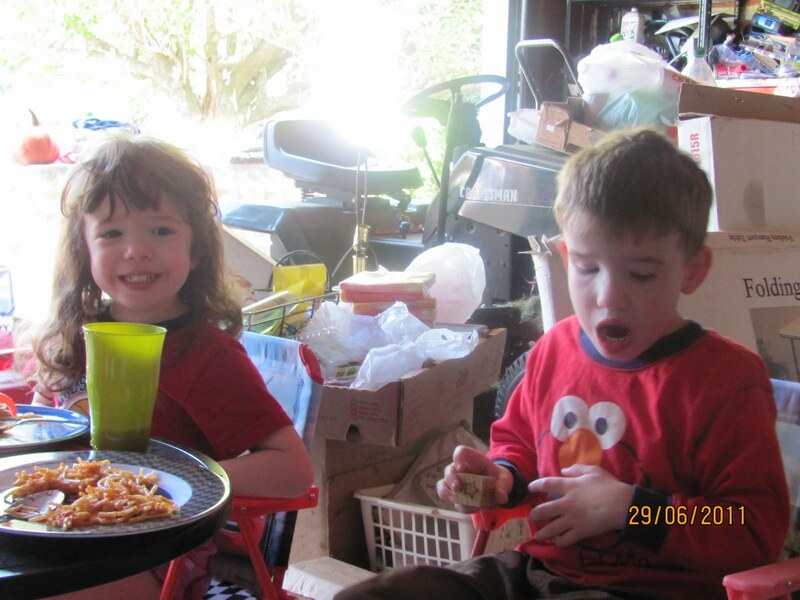 Daddy made spaghetti and the kids had a great time eating like grownups. pictures to follow of the set, It is sometimes a surptise that you can buy something and a while later it becomes popular. That has happened a few times for us.